You eat the same meals daily, you don’t deviate from what’s working from you at the time. Which makes sense, of course. But man, when I cook up something special or different from time to time, I’m in my happy place. I love creating new recipes and scouring the internet for the best quick dinners the food blogging community has to offer. Cooking is like my therapy. 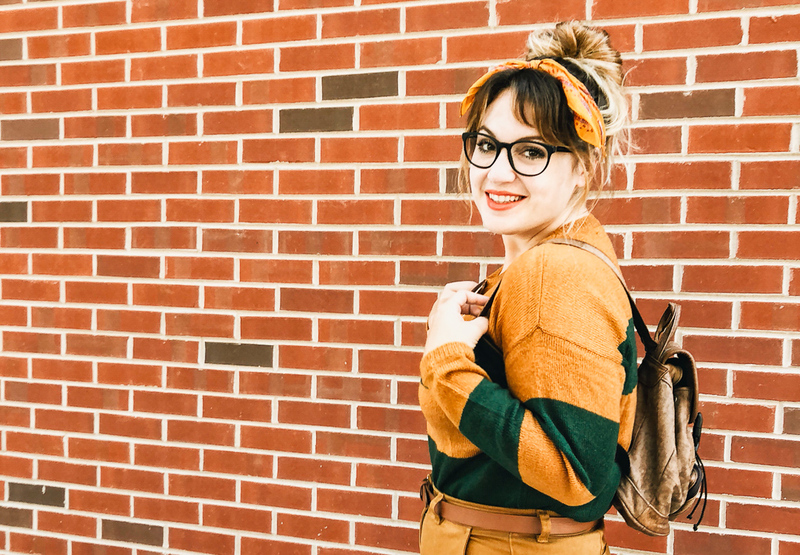 As you may know (or if you follow me on social media), I started blogging in 2011 with a food blog called Lavender & Cream. While this site is no longer active, my love of sharing my recipes is still strong. So I’ll be dropping in with some recipe posts from time to time! 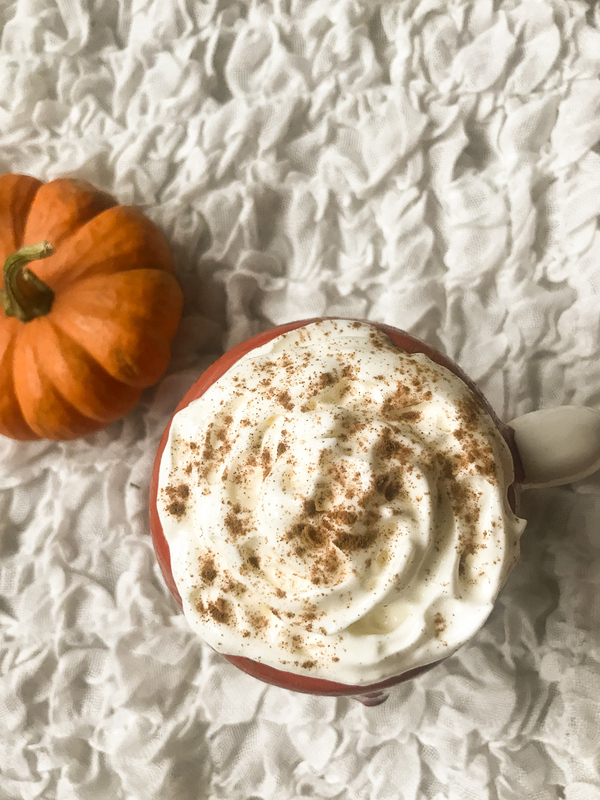 My first recipe post is the most incredible fall drink and a yummy treat if you’re following the keto diet – dairy-free keto hot chocolate. 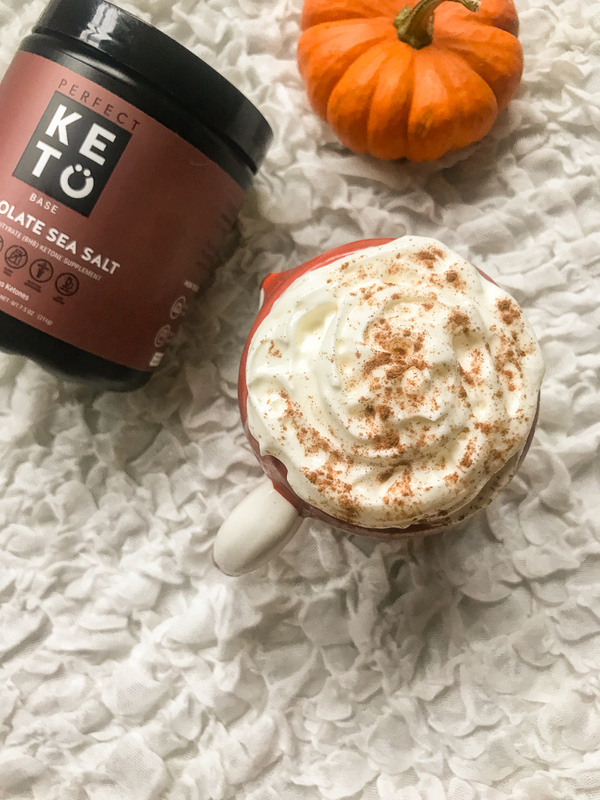 The drink features the base powder from Perfect Keto. 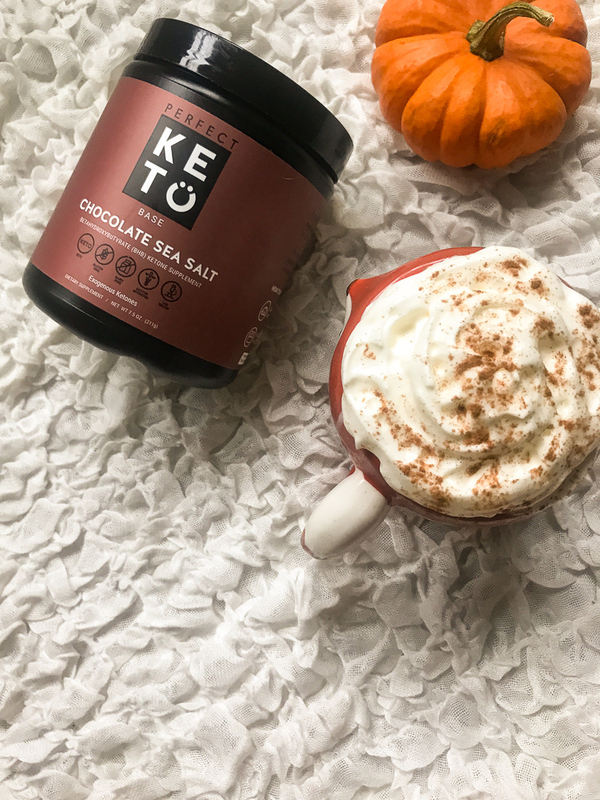 I like this chocolate sea salt flavor a lot, so I decided to add it to my dairy-free keto hot chocolate to give it a healthy dose of yumminess and some added ketones. This step is totally optional – you certainly don’t have to add Perfect Keto. But if you have it on hand already, go ahead and add some! I’ve been minding my dairy recently, trying to avoid lactose when I can. 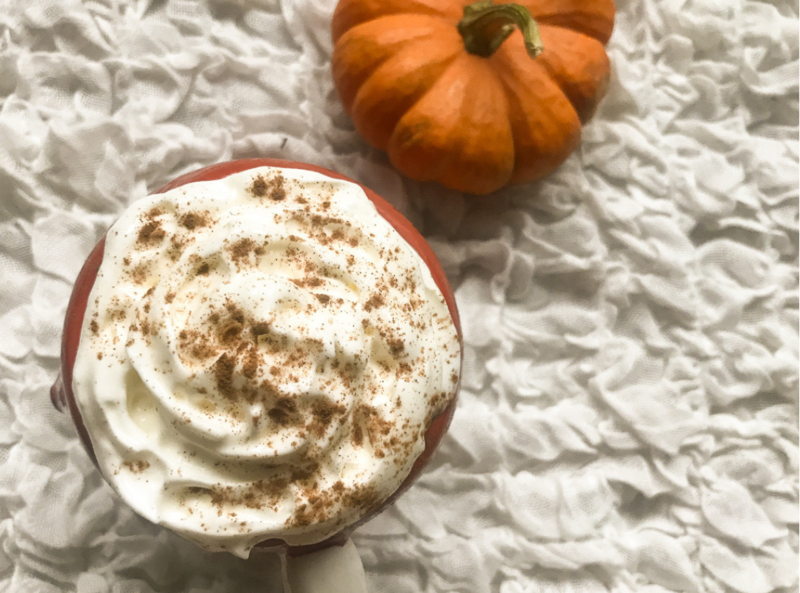 If your body can handle dairy and you love it, feel free to substitute your milk of choice and dairy whipped cream. Nut milk works for the drink as well! Has anyone tried Perfect Keto? What do you think?